Kangana Ranaut is busy minting money these days. After the recent success of Manikarnika: The Queen of Jhansi, she's all set to play veteran political leader, Jayalalithaa in her biopic. While she's simultaneously working on her own biopic, the actress is keen to essay the role of this powerful leader and revisit her journey for the big screen. And if recent reports are to believe, she's also getting paid a whopping amount for the same. As per a report in DNA, the Queen actress has apparently charged Rs 24 crore from the makers to be a part of this project and they have agreed. Kangana Ranaut and Richa Chadha's Panga Will Hit the Screens on January 24, 2020. A source close to the daily said, “Kangana is being paid to the tune of Rs 24 crore for the bilingual project, which will be made in Hindi and Tamil. The makers are sure that her star power will help reach a pan-India audience.” With her current remuneration, she has beaten the likes of Deepika Padukone, who was the highest paid actress in B-town up till now. Kangana is expected to carry the entire movie on her able shoulders, with no A-lister actor on her side. And she's determined to justify it. "Whenever Hindi artistes have done South movies, they have always shared screen space with a top star from the region. But the Manikarnika heroine will be leading from the front as the movie revolves around her character’s journey. The producers have already signed a contract with her,” the source further added. 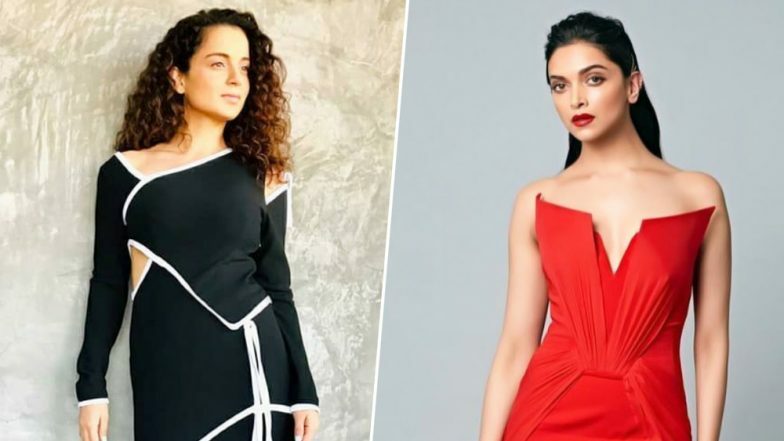 Kangana Ranaut Calls Actresses in Karan Johar's 'Best Actresses' List 'Idiots', Slams Hrithik Roshan For Denying That He Knows Her. Other popular names like Vidya Balan and Aishwarya Rai Bachchan were also considered for this epic project but Kangana eventually won the race. Well, with Deepika turning producer with her next, Chhapaak, we'll have to wait very long to see if she beats Kangana in the number game or chances are rife about Alia's name popping out of nowhere.